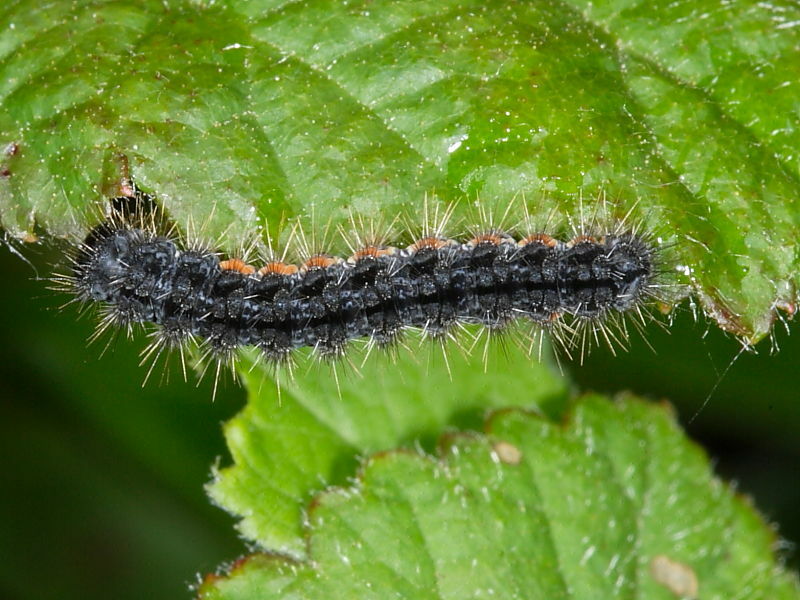 This family contains some of the most extraordinary looking caterpillars to be found in the British Isles. 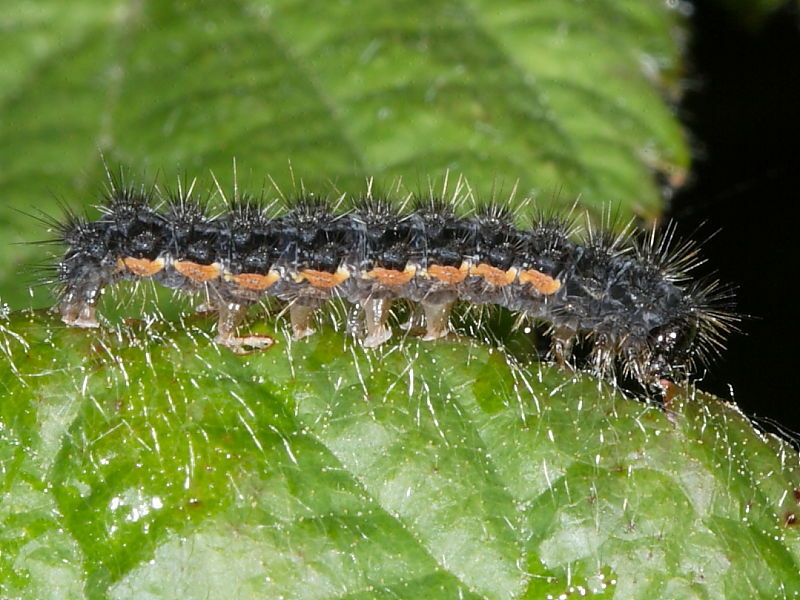 The caterpillar of the Puss Moth is startlingly well equipped to scare of predators with its whip like tail extensions. 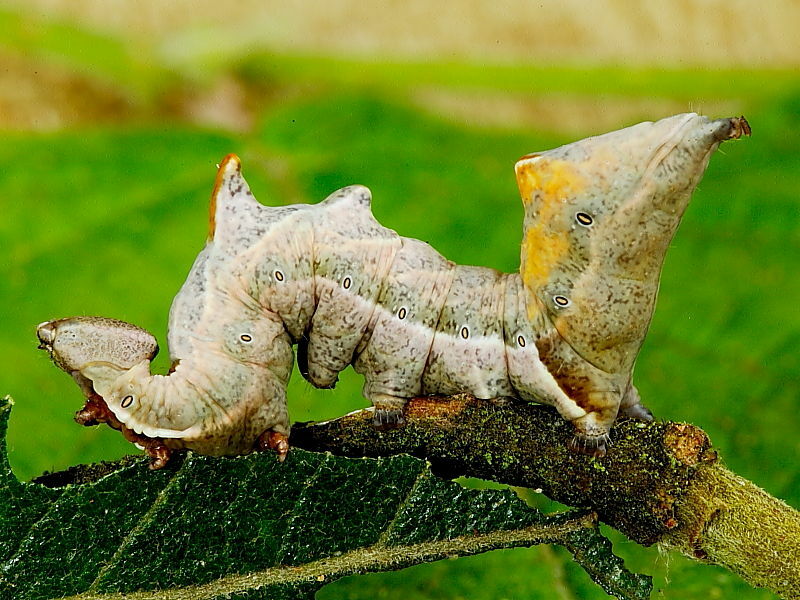 It is also regularly sighted but mainly when it has left its food plant to wander in search of a place to pupate by which time it has turned a purplish colour. 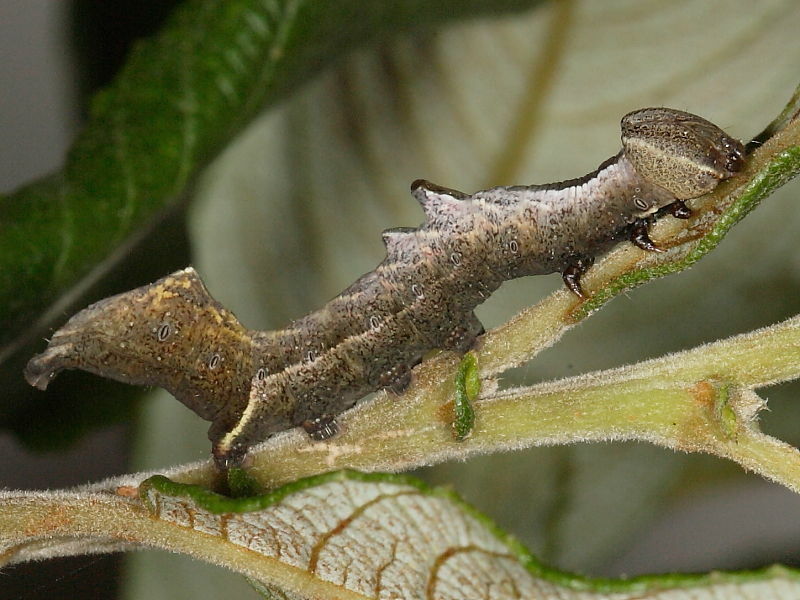 The caterpillars of the Prominent species also have some very distinctively shaped caterpillars; several capable of arching their head and tail upwards to disguise their outline. 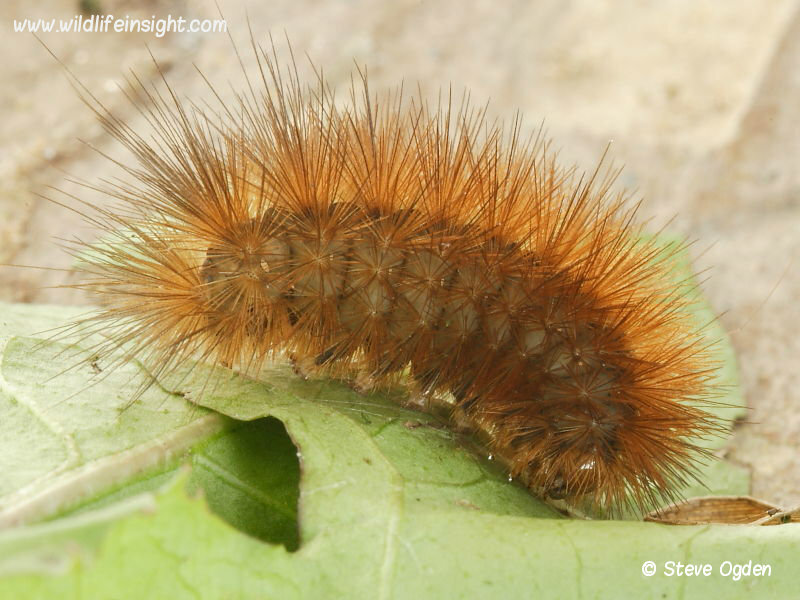 One of the most commonly found prominent caterpillar is the Pebble Prominent. 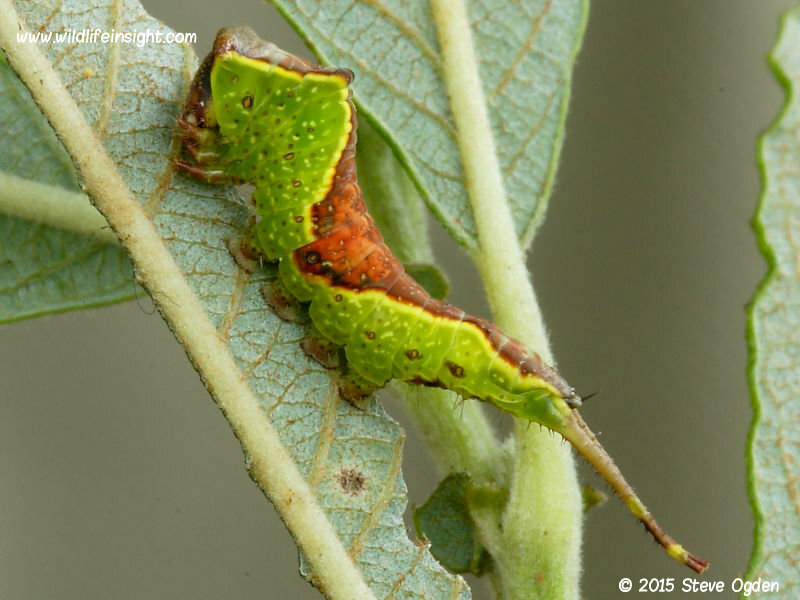 Also in the Notodontidae family is the brightly coloured caterpillar of the beautifully camouflaged Buff-tip moth. 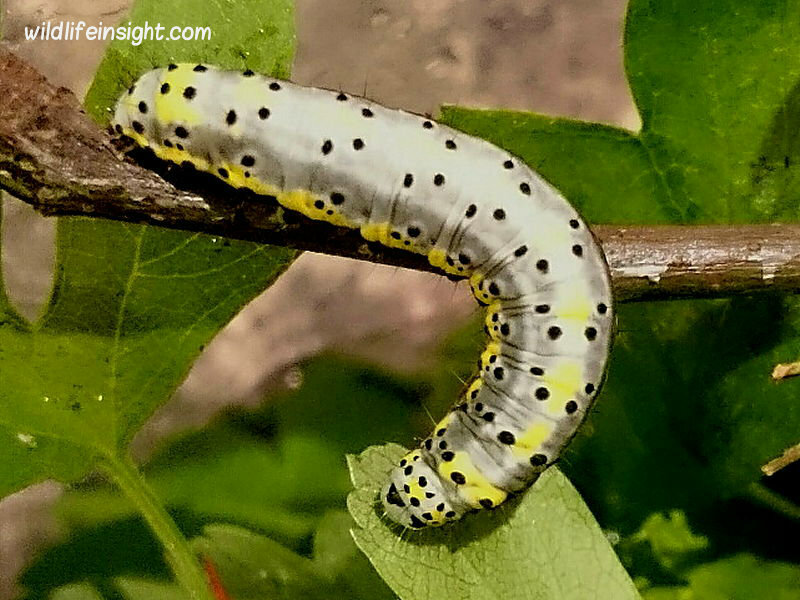 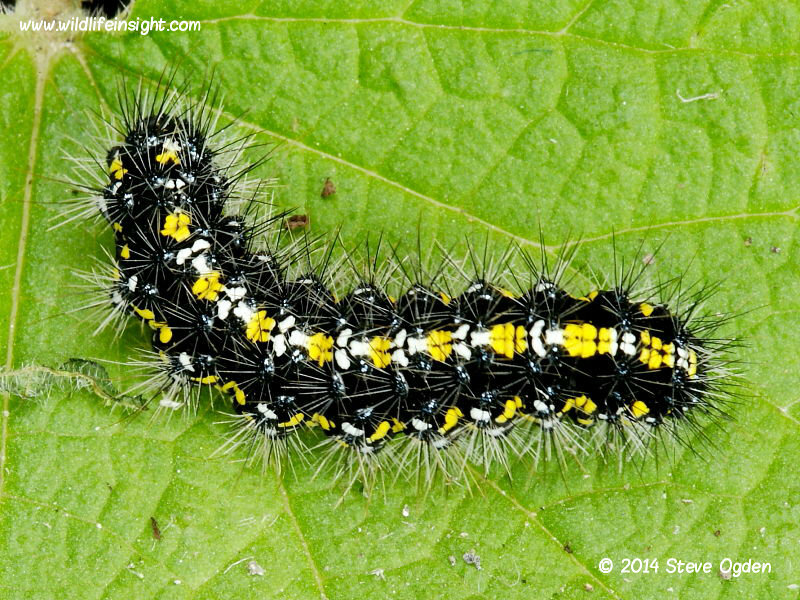 Gardeners often report large numbers of these brightly yellow caterpillars stripping trees of leaves. 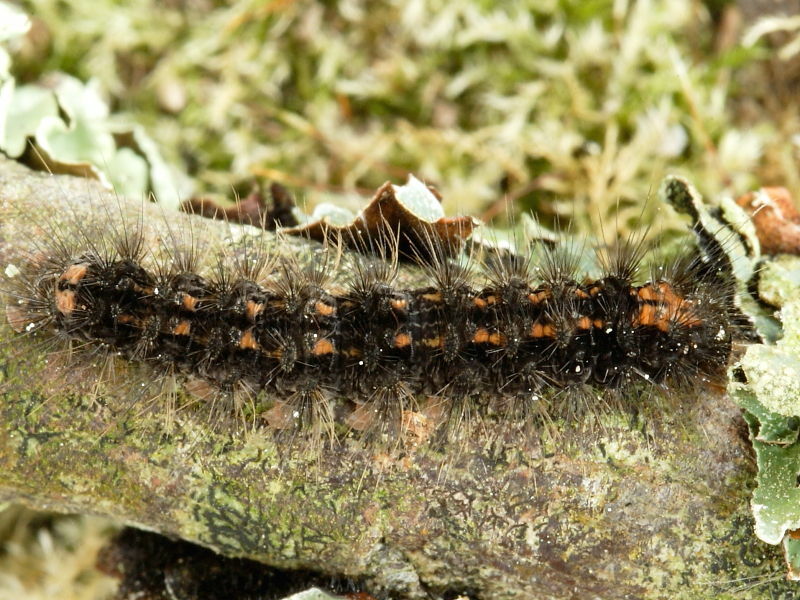 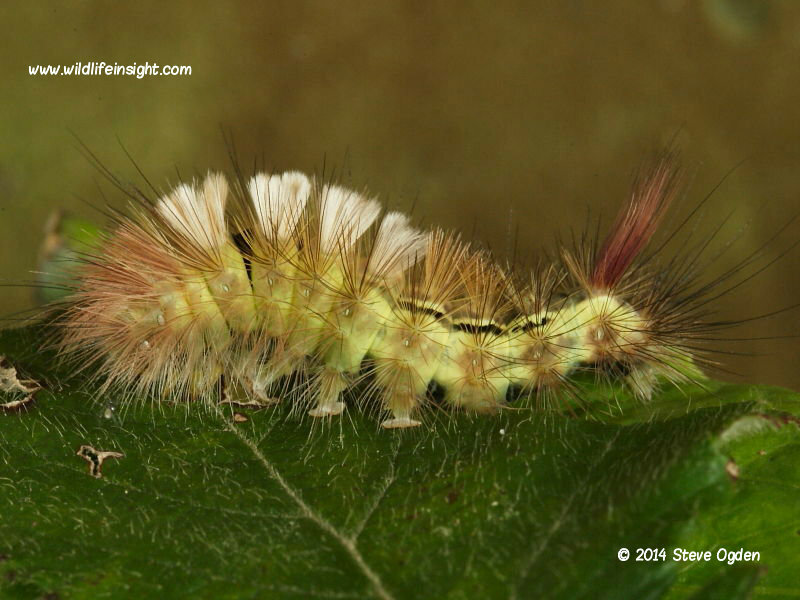 The Lymantriidae family of moth caterpillars which includes the Tussock moths have some of the most extraordinarily looking hairy caterpillars. 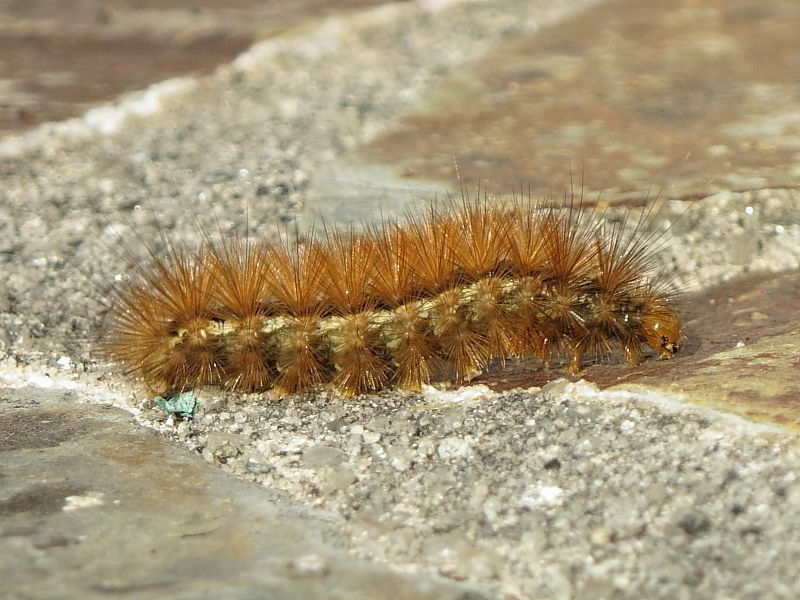 Unfortunately some are best known worldwide for their urticating hairs to which some people suffer quite severe skin reactions. 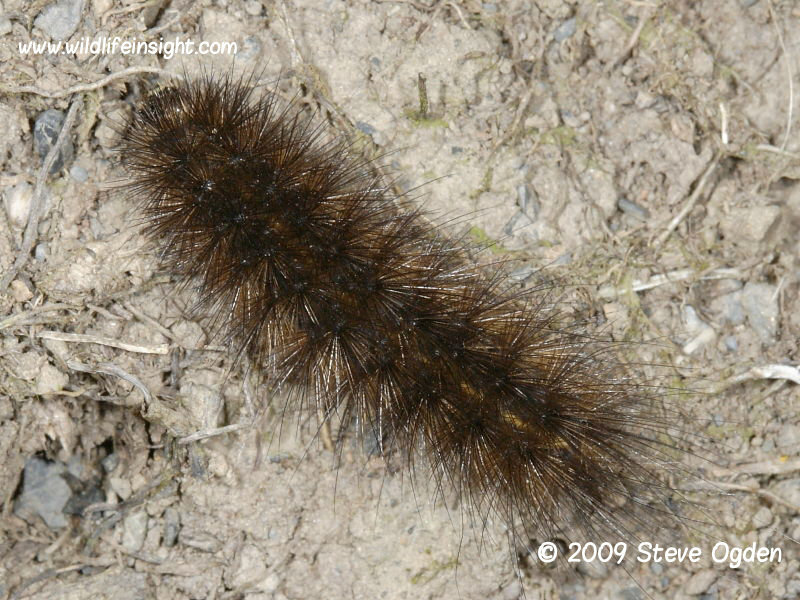 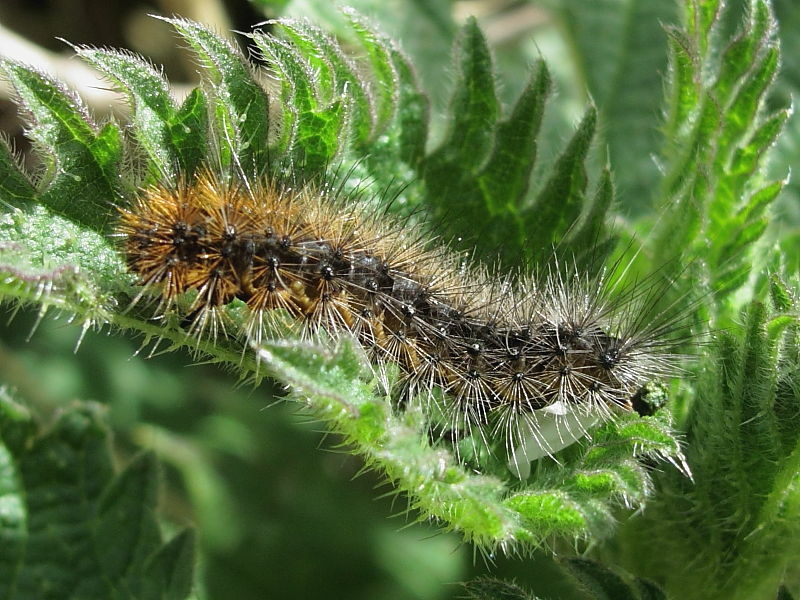 Fortunately in the British Isles there are only a few caterpillars that can at times be considered a health hazard – but, nevertheless, it’s advised that all hairy caterpillars should be treated with caution. 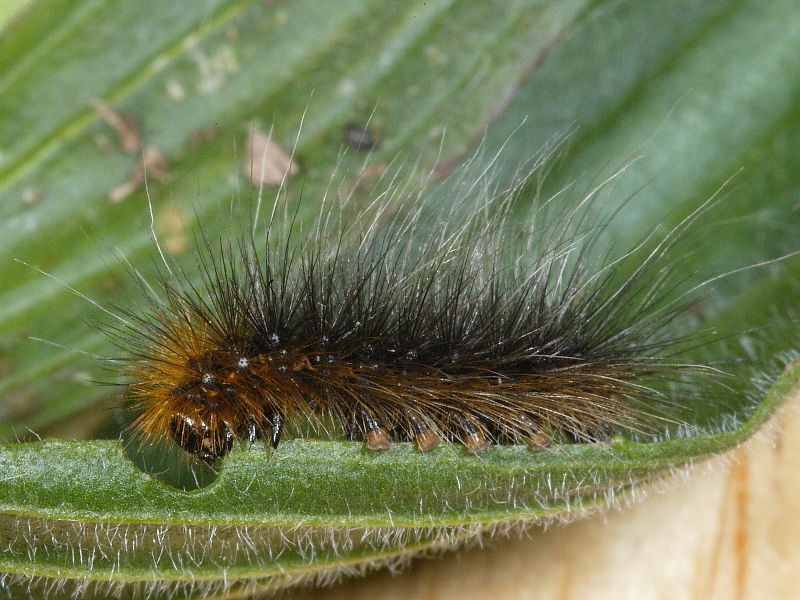 The Brown-tail, although not the most common species, is the one we receive the most reports of causing skin rashes with their irritating hairs. 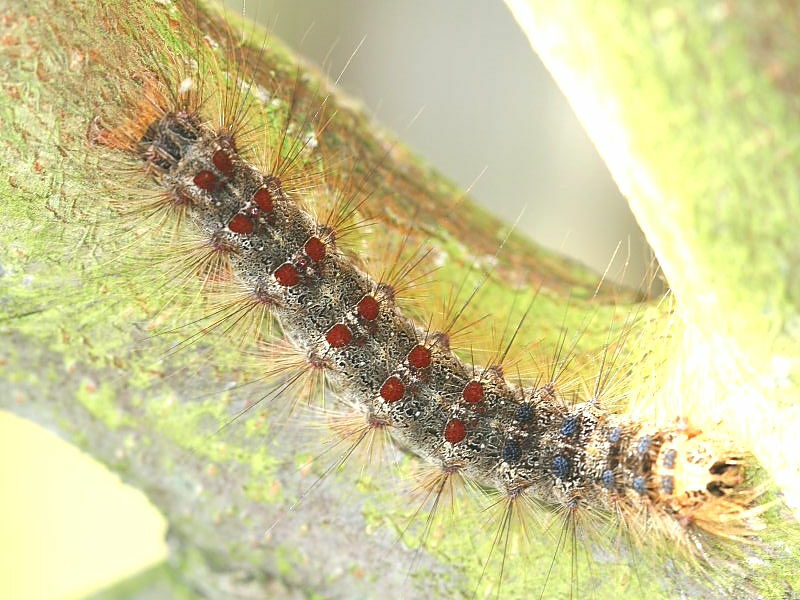 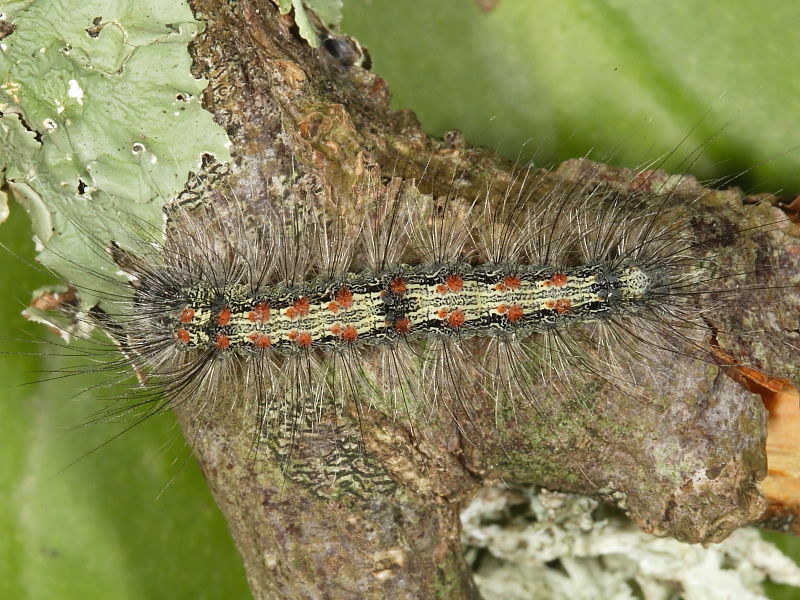 This family also includes the fabulous Vapourer moth caterpillar which is the second most commonly enquired about caterpillar. 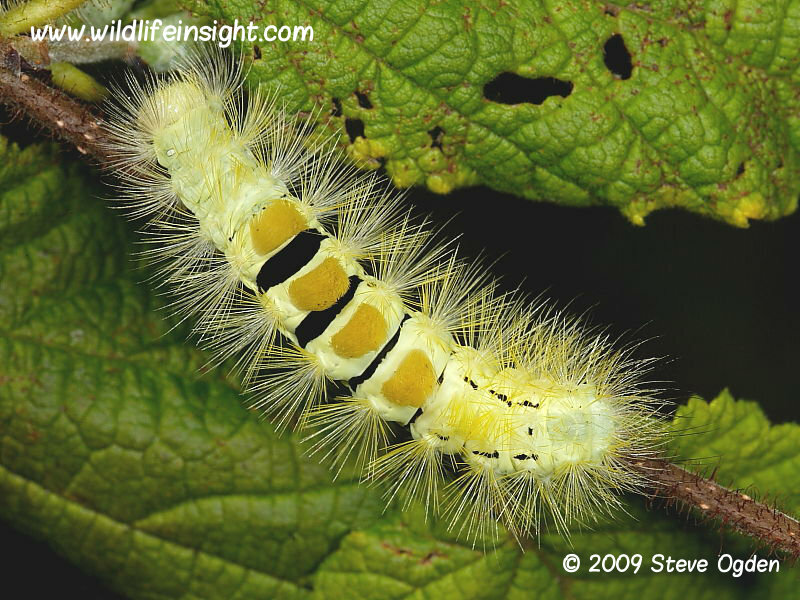 The most commonly sighted Tussock caterpillar is the Pale Tussock which is notable for its tail spike which is often a deep red. 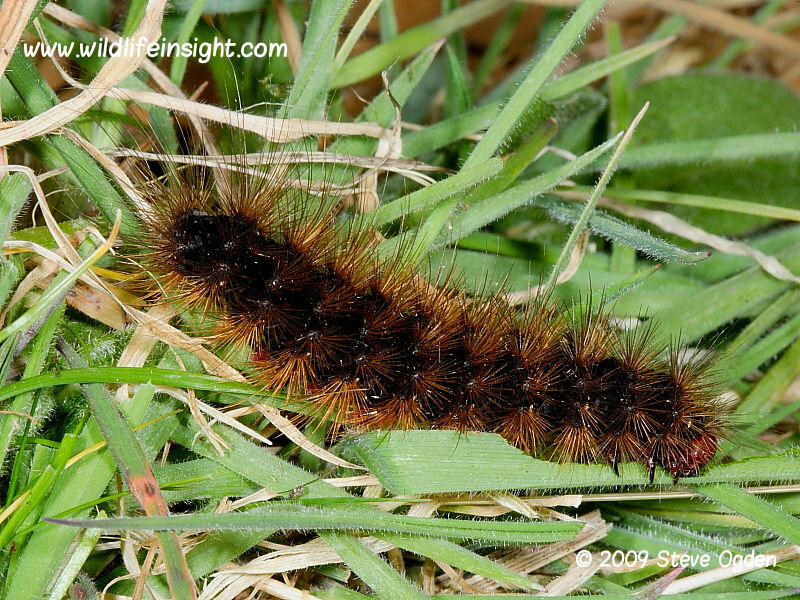 It is frequently seen wandering out in the open in late summer/early autumn. 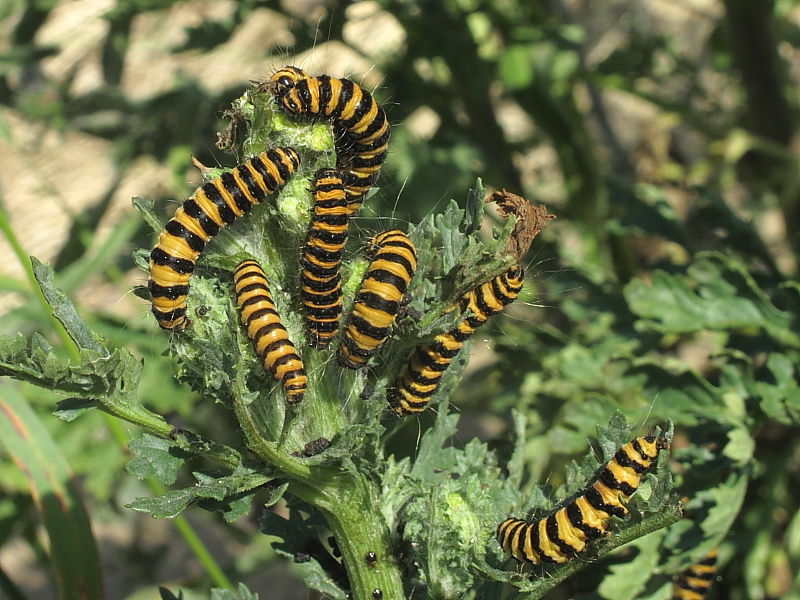 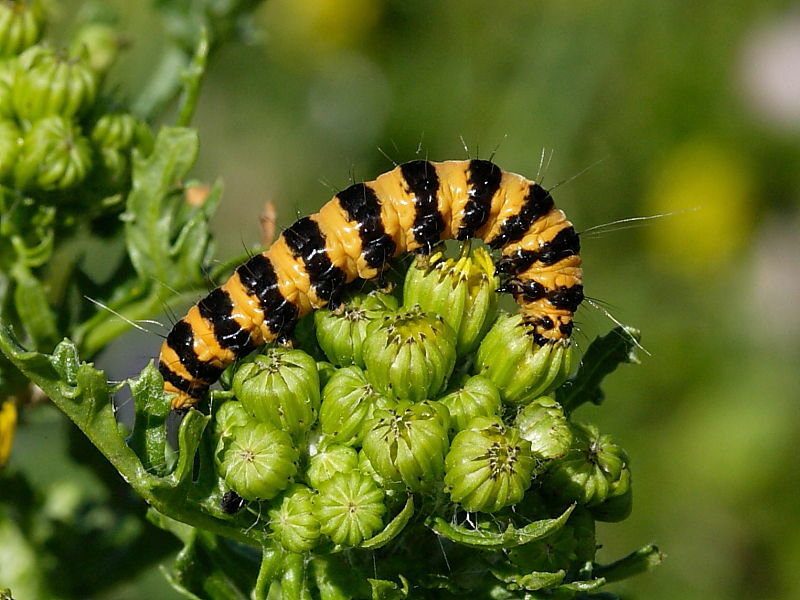 The boldly marked orange and black Cinnabar caterpillar is perhaps the most instantly recognised caterpillar in the British Isles being commonly found in numbers on Ragwort. 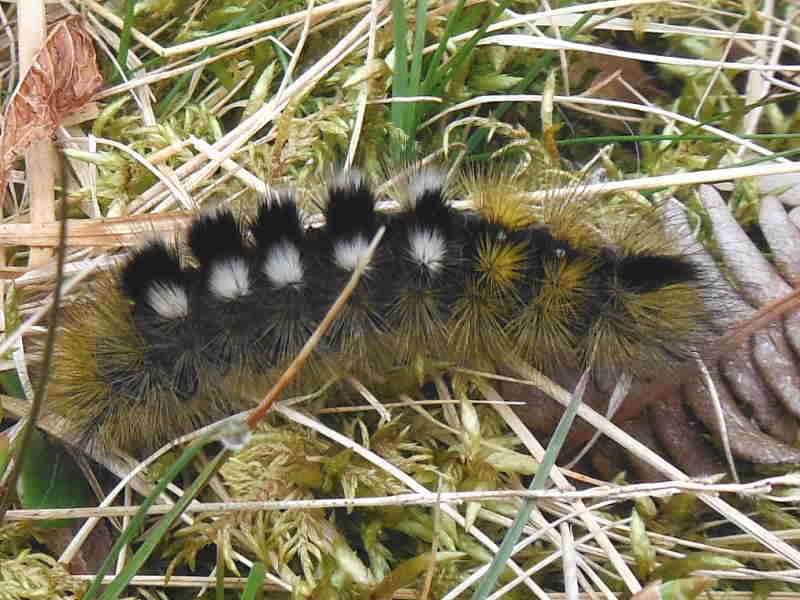 This family include commonly seen caterpillars of several species of Tiger moth, Footman and Ermines. 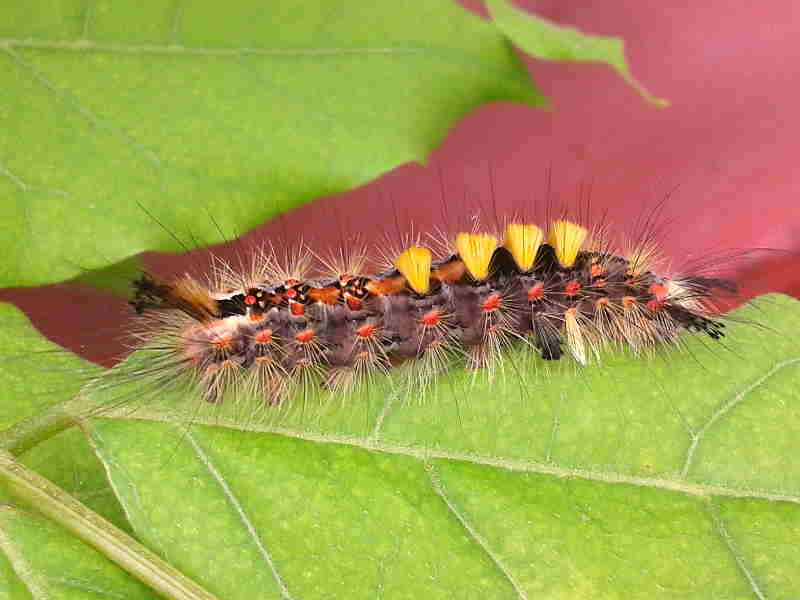 Several of these are on the Hairy Caterpillar page. 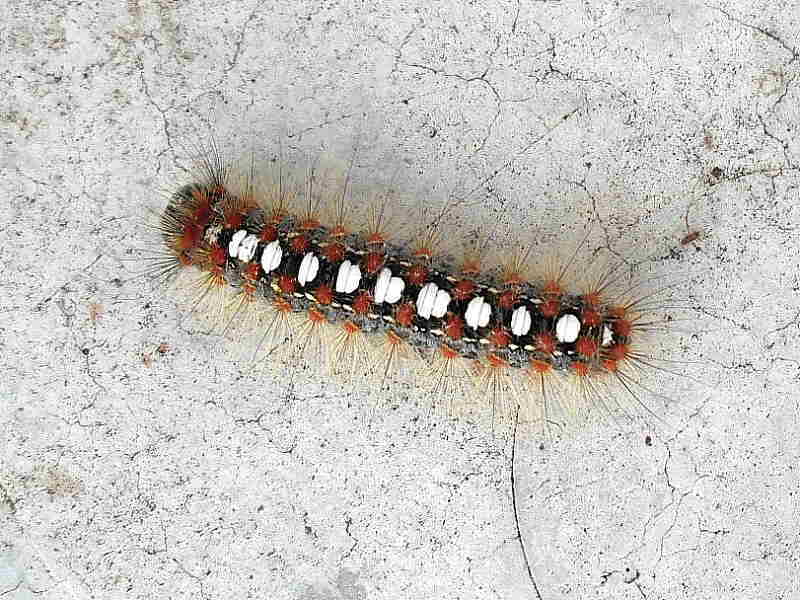 The Garden Tiger Moth is the best known. 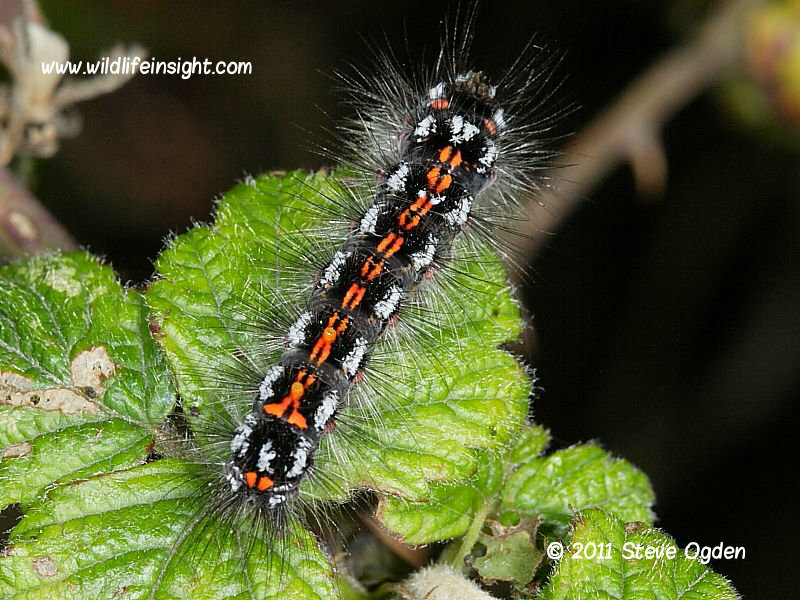 Ruby Tiger and the brightly coloured Scarlet Tiger caterpillars are more localised but also frequently come across. 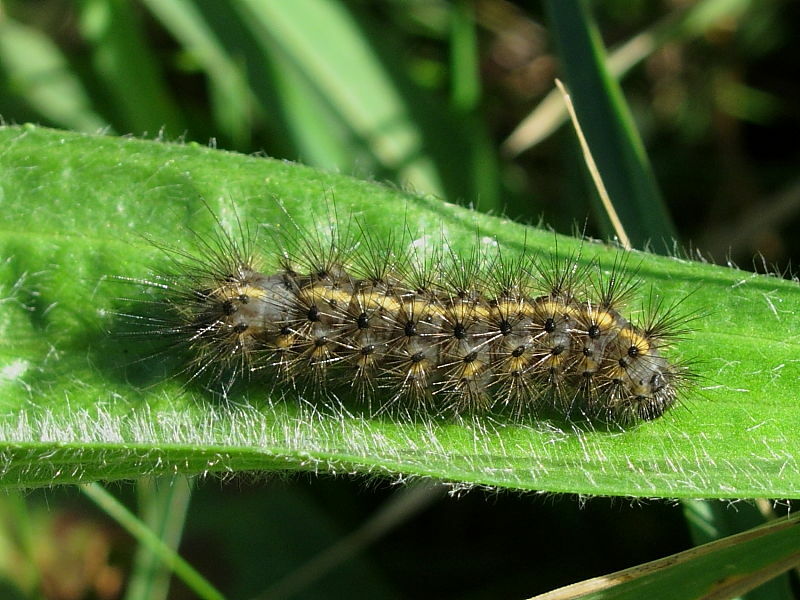 Both Buff Ermine and White Ermine caterpillars are regularly reported from gardens and the countryside in various instars. 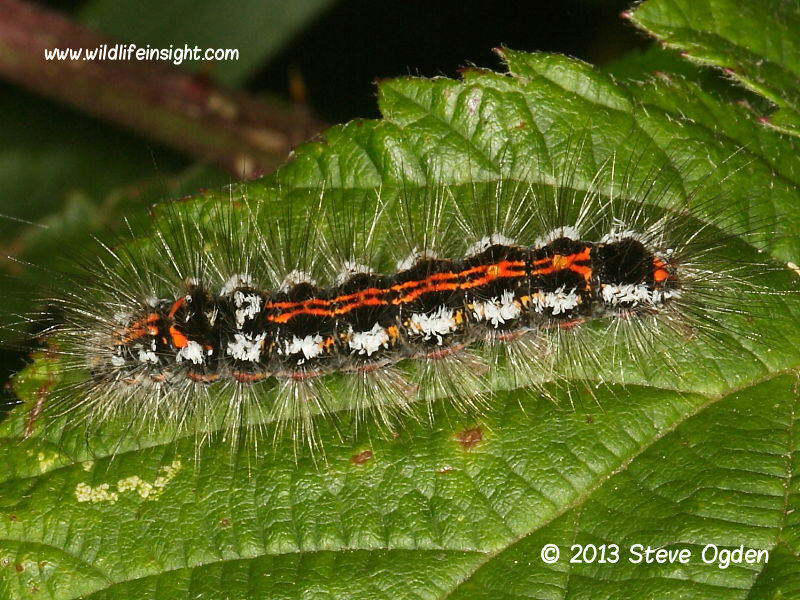 The Footman caterpillars feed on lichens and algae and are less frequently seen. 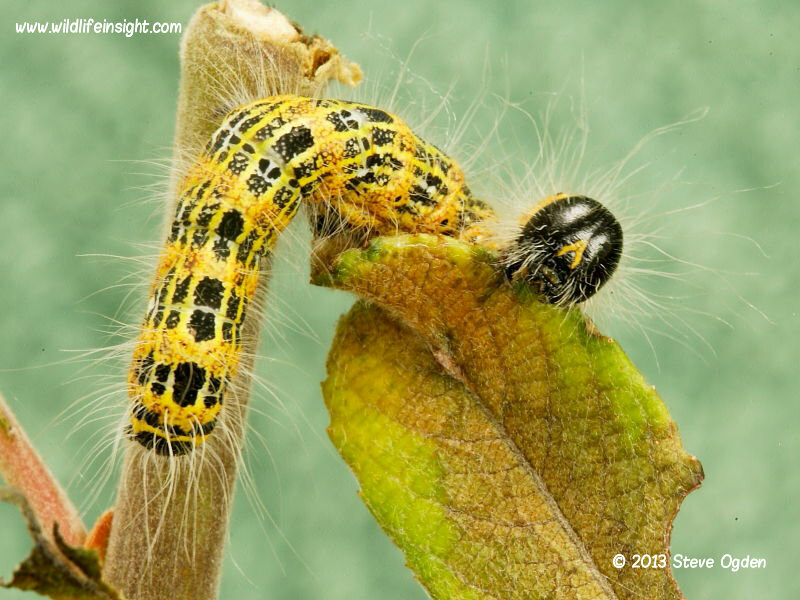 The caterpillars of the Dingy Footman and the larger Four-spotted Footman are two of the most often sighted. 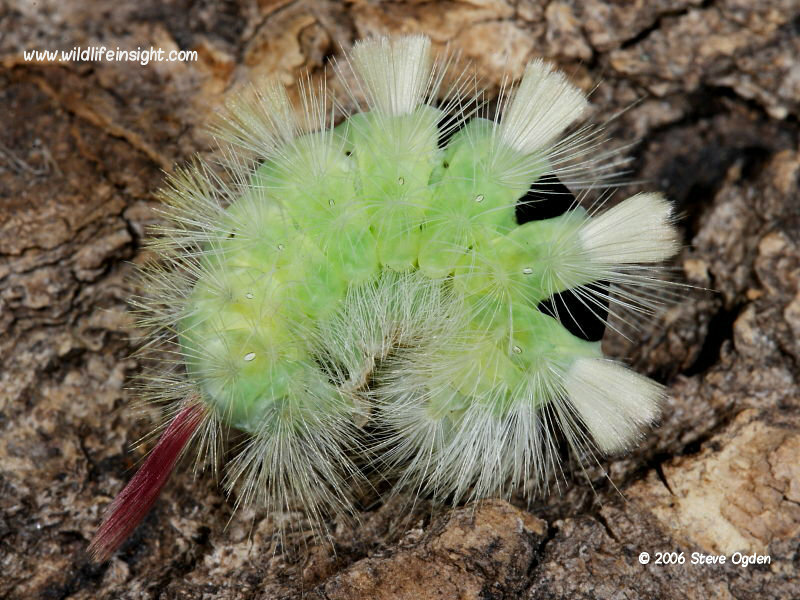 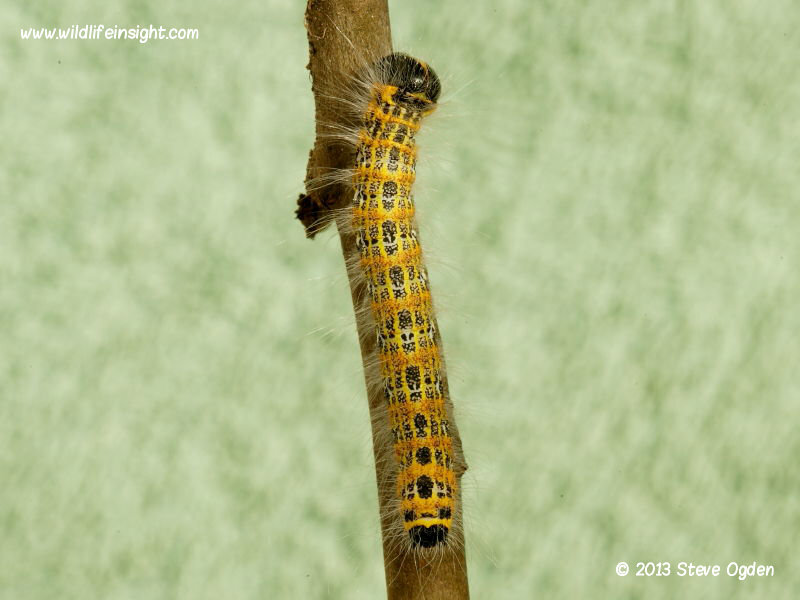 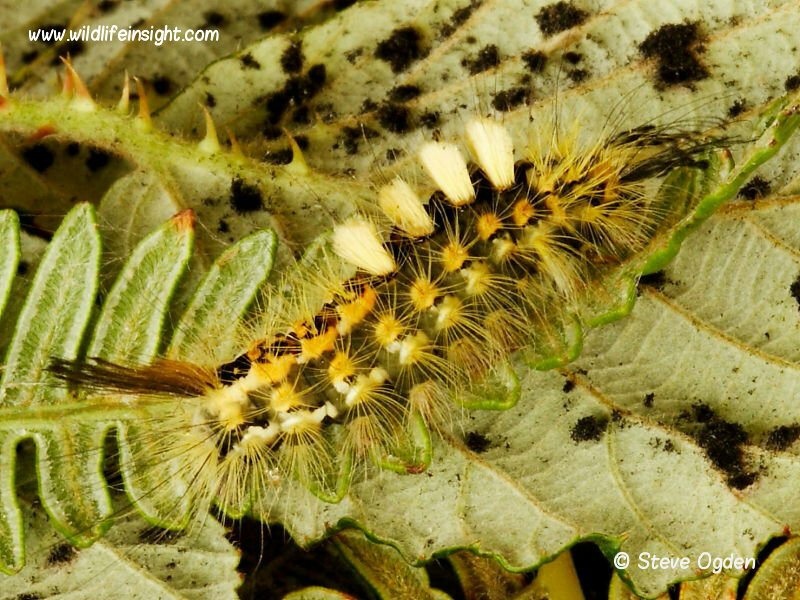 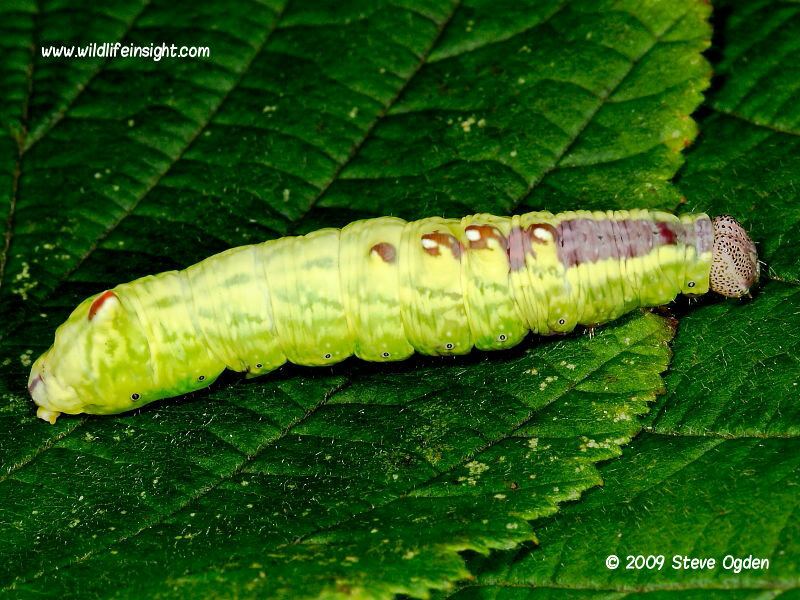 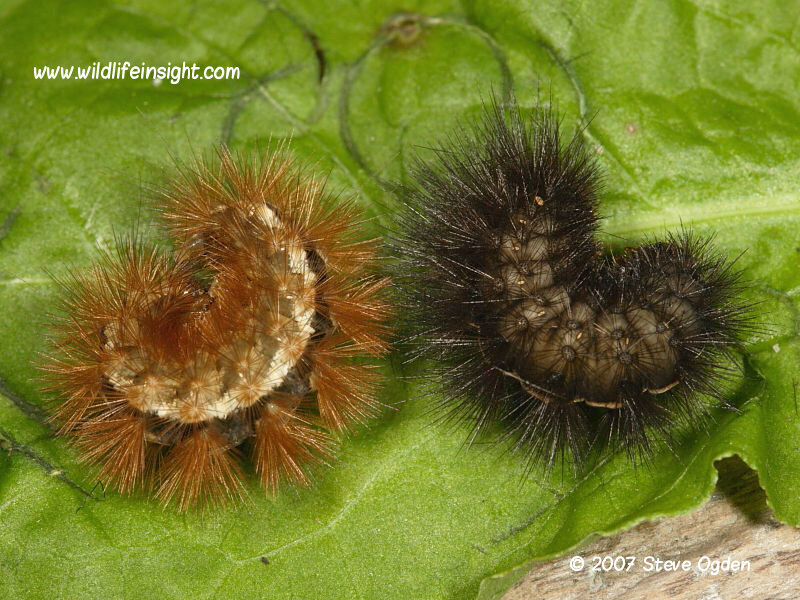 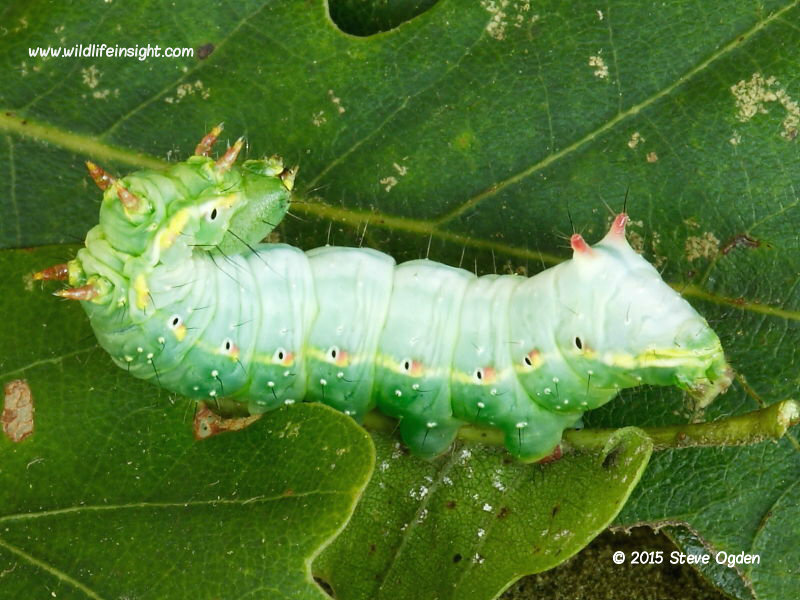 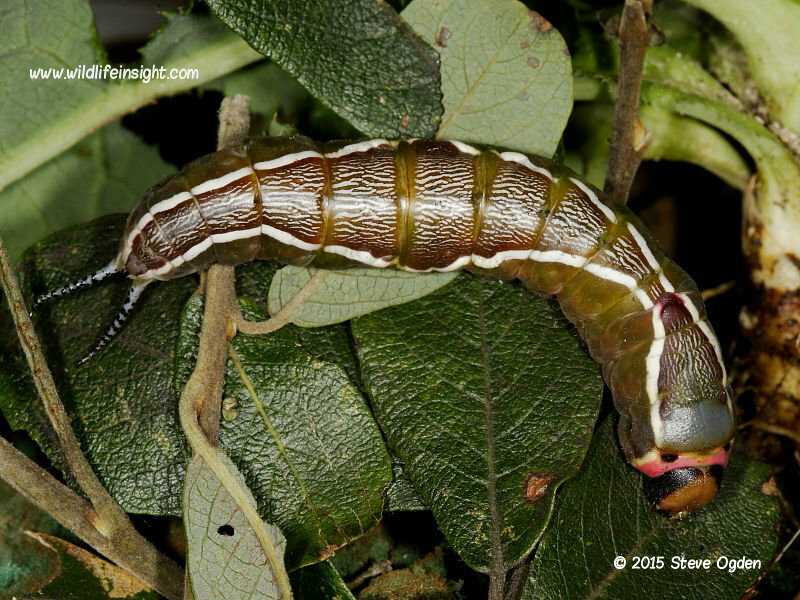 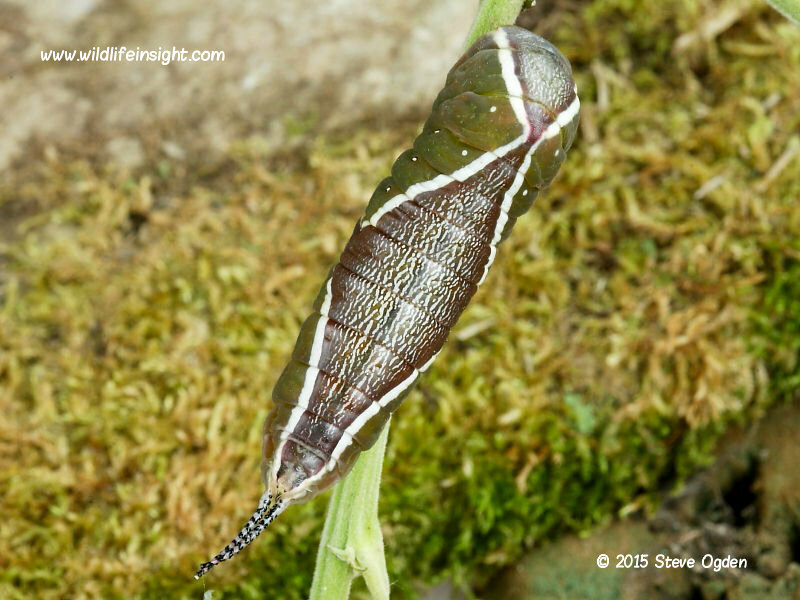 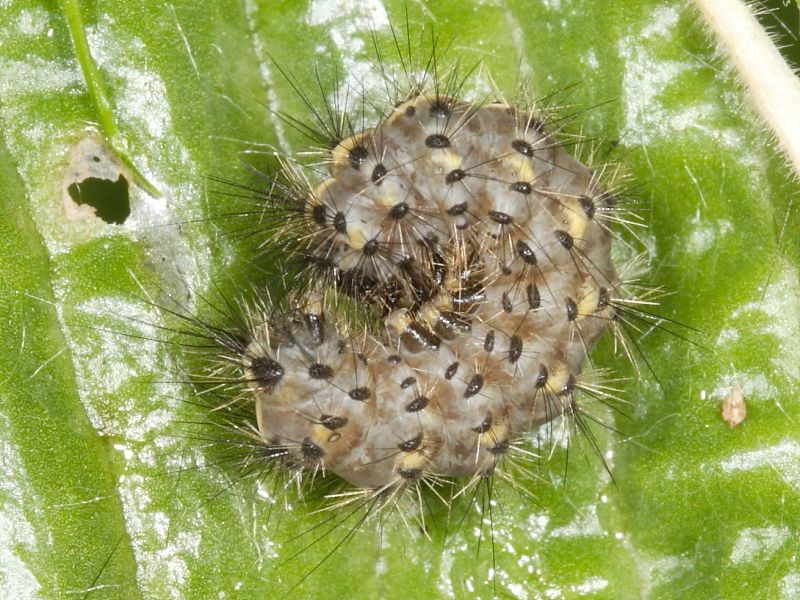 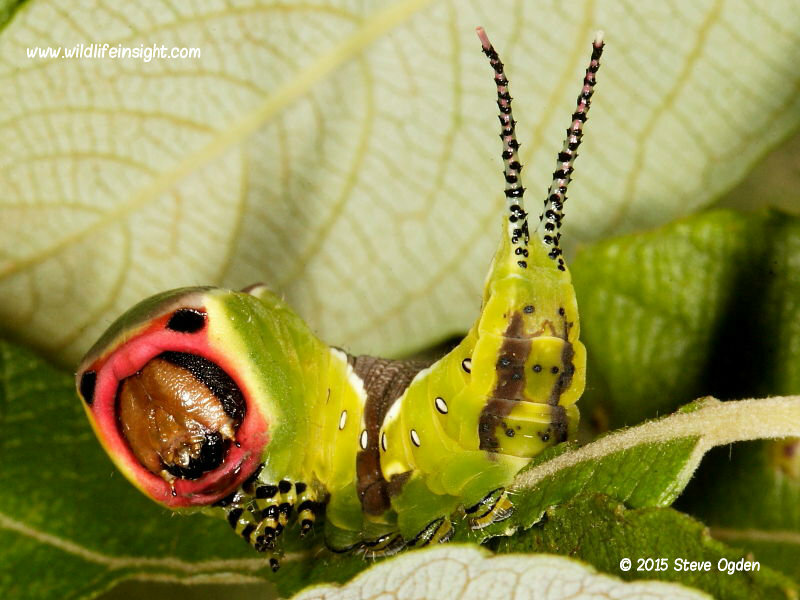 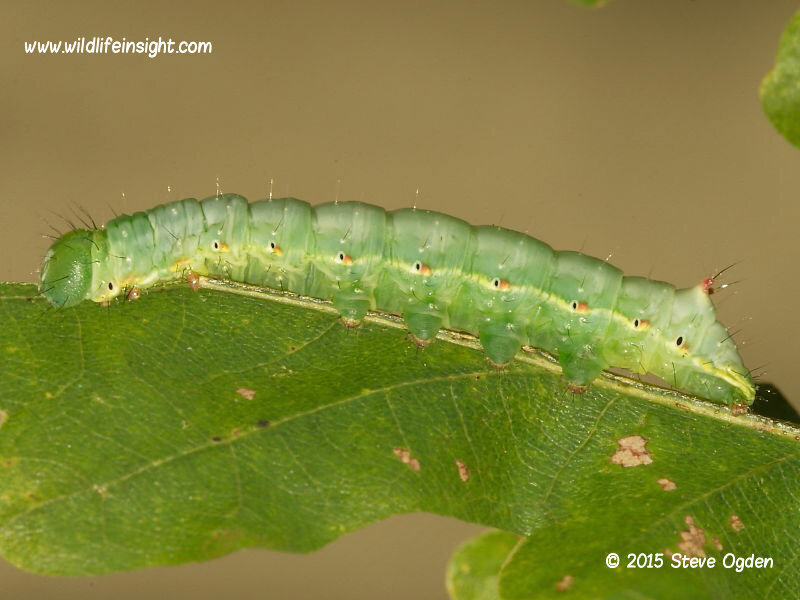 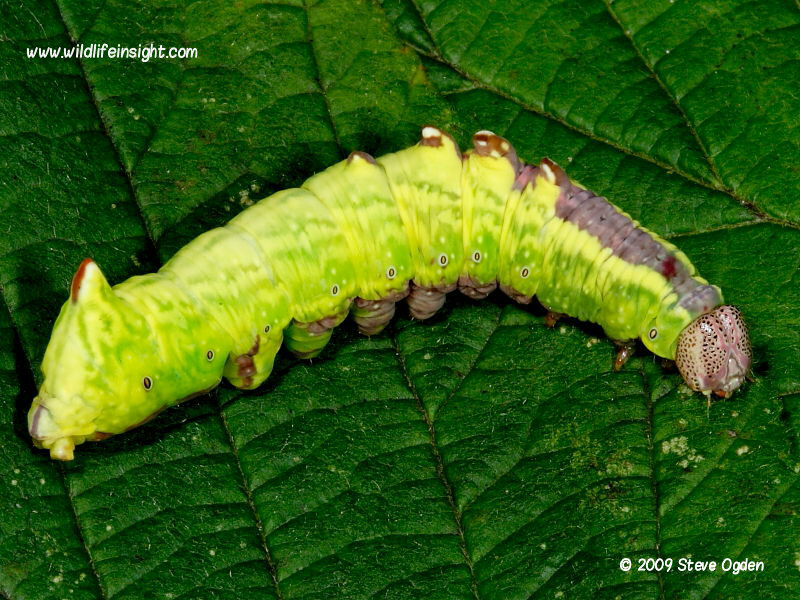 If not found in this gallery try the other moth caterpillar galleries below.